The Rural Energy for America Program (REAP) provides financial assistance to agricultural producers and rural small businesses in rural America to purchase, install, and construct renewable energy systems; make energy efficiency improvements to non-residential buildings and facilities; use renewable technologies that reduce energy consumption; and participate in energy audits, renewable energy development assistance, and feasibility studies. REAP creates opportunities for economic development for rural businesses by supporting renewable energy and energy efficiency projects, via loan guarantees and grants. 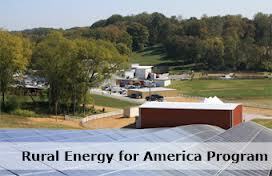 The program provides assistance to qualified applicants to finance renewable energy (renewable biomass, anaerobic digesters, geothermal for electric generation, geothermal for direct use, hydroelectric (30 megawatts or less), hydrogen, small and large wind, small and large solar and ocean (including tidal, wave, current, and thermal) and energy efficiency projects. It expands the existing private credit structure by providing a credit enhancement via a loan guarantee. The REAP Renewable Energy System Grant and Loan Guarantee provides financial assistance to agriculture producers and rural small business for the specific purpose of purchasing, installing and constructing renewable energy systems. This type of assistance may require that a business level feasibility study be completed by an independent qualified consultant as part of the application. The application process mirrors the B&I Loan application process. Contact us today to see how a USDA REAP loan could be the right tool to finance your renewable energy project.